The craze for the pickup trucks continues through 2019 and new 2020 model year has brought the redesigned heavy-duty models with Ram, Chevy and GMC badges. Ford also made significant upgrades to the Super Duty Series and we welcomed also the Ford Ranger and Jeep Gladiator. There will be more newcomers joining the lucrative market and Tesla Pickup Truck is getting closer to the debut. However, we witnessed that almost all, long-awaited and announced models like Wrangler-based truck and Tesla faced with delays and the same story is with another model that should soon come on the stage. We are speaking about the next-possible, unibody truck 2020 Hyundai Santa Cruz. The arrival of the all-new Hyundai Santa Cruz pickup truck has been in the news since the 2015 Detroit Auto Show where the brand presented the Santa Cruz Concept model. In the meantime, many speculations appeared about model’s launch date and the start of production and recently brand’s design chief confirmed that the Santa Cruz pickup is coming as soon as possible. The design of the model has been finalized and the model is in the pre-production process. In the best-case scenario, the debut of the model could be in early 2020. After the Santa Cruz Concept appeared at the 2015 Detroit Auto Show, the reports indicated that model got the green light for the production and that road-ready version would share plenty of style with the concept model. 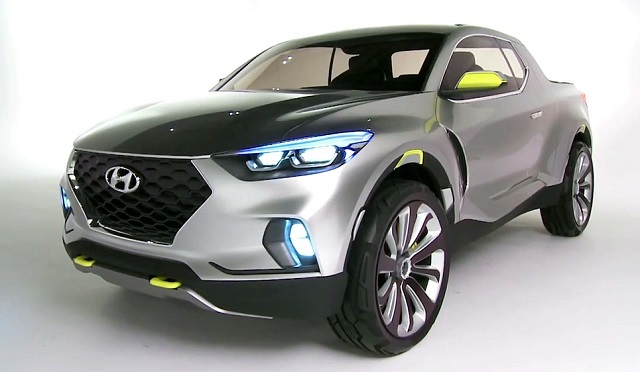 However, after several years passed and we saw the all-new Santa FE and Palisade models with the new styling theme, it has also been reported that the 2020 Hyundai Santa Cruz will apply the new design strategy. As the latest reports suggest, the Santa Cruz pickup truck will stay in the envelope of the concept version regarding its purpose and unibody structure. The truck targets active lifestyle, millennial customers and will be an alternative to the unibody Honda Ridgeline. The model will use more civilized unibody design shared with the next Tucson SUV as it was expected earlier. However, the model will also adopt different styling strategy in contrast to the Concept version. The new styling elements that define the appearance of the new Santa Fe and Palisade SUVs will also be used in some form on the Santa Cruz. The model should, however, come with the four-door cabin with the full-size doors in contrast to the concept model with the extended cab body and suicide rear doors. The truck will also get the short cargo bed but Hyundai might use the extendable bed design from the concept for the production. As for the interior, there are no many details. However, the cabin of the truck will likely use a similar design strategy as the latest SUVs from the brand. The truck will have driver-oriented dash design and provide high-comfort futures. The brand’s latest infotainment platform with a large center touchscreen will be used and the digital instrument cluster should also be available as an option. The crossover-like truck will also get the crash avoidance technologies which have become the part of modern trucks. There will also be premium materials and entertainment features in upper grades. As with other aspects of the model, details about the powertrain of the 2020 Hyundai Santa Cruz are still unknown. Hyundai presented the Concept version with the 2.0-liter turbodiesel four-cylinder engine. The engine was rated at 190 hp and 300 lb-ft of torque and Hyundai promised fuel economy in high-30-mile range. The production version of the truck could, however, get a 2.2-liter four-cylinder diesel from the Santa FE SUV with power around 190 hp and torque around 322 pound-feet. The four-cylinder, petrol-powered engines should also be in the equipment list. A 2.0-liter turbocharged petrol engine from the Santa FE could be a good solution for the compact truck. This engine makes 225 hp and torque of 260 lb-ft. Hyundai might also offer the base, naturally aspirated four-cylinder petrol unit with power around 180 hp. The model will likely use an 8-speed automatic transmission and offer HTRAC all-wheel drive as an alternative to the base, two-wheel-drive system. Hyundai confirmed that the Santa Cruz is in getting closer to the production but hasn’t revealed the release date. The reports indicate the debut in early 2020. 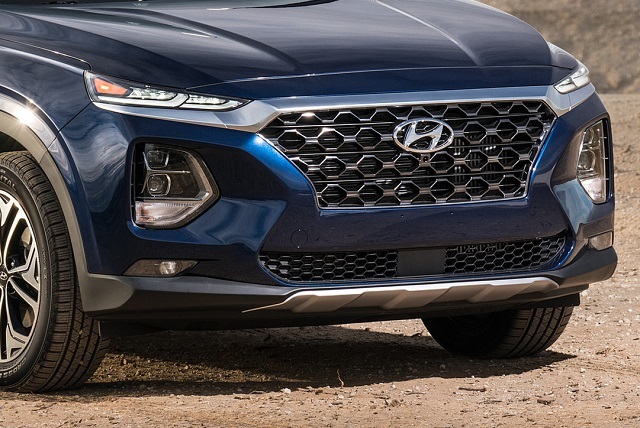 In that case, the model would arrive as the 2020 Hyundai Santa Cruz and the base price should be from low- to mid-20,000s.